There is one thing about living in a Tiny House that I never once considered. Absurd as it is, it is something that drives me bonkers! 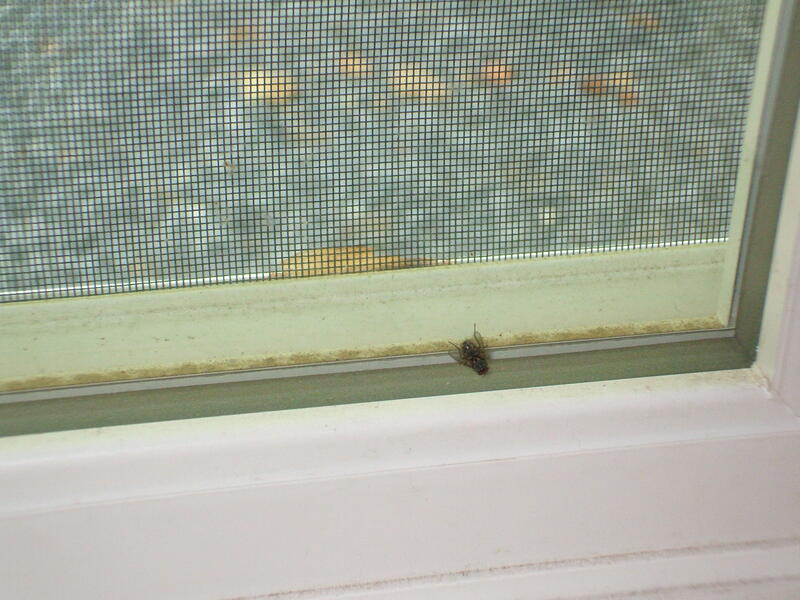 The source of this nuisance is a common house fly. It is not as trivial as it might sound because in a small space they sound significantly louder than in a large one and there are plentiful places to hide at THO. The fly here has evaded me for two days and is as loud as a B6 bomber… Okay, I am exaggerating a lot, I admit it, but the silly thing is getting to me with all its flitting and flying and buzzing about! Perhaps another reason that it is so loud is that there are no other sounds at THO, such as a television, radio or even white noise from a fridge. When the windows are closed to the weather as they are today (rain Woot!) this fly and my breathing are the only sounds. Further annoying is that it let me photograph it several times but then hid again when I set down the camera and got the fly swatter. I am not sure how flies know that you intend to squish them to death with a fly swatter, but they seem to always hide when ever I pull one out. Has anyone ever noticed this? Perhaps they have some sort of ESP? This photo also tells me that it is certainly time to dust THO. I really hate dusting, so I am thrilled that THO is so Tiny! I am also happy to announce the fly’s passing. I finally found success!